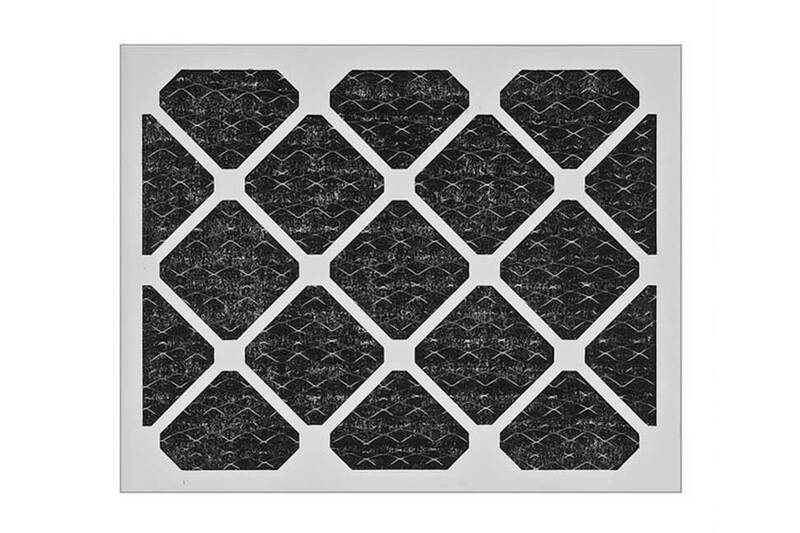 CONSTRUCTION: Charcoal impregnated pleated filters are made of a carbon (coconut shell based) impregnated synthetic media, containing eight grams of carbon per square foot. The pleats increase the surface area of carbon exposed to the air flow. For example, a 24x24x2 Charcoal impregnated pleat contains 14 square feet of effective media face area compared to only 4 square feet for a filter pad. THE FRAME: is a rigid, water-resistant beverage board used also in the standard pleated filter. These charcoal impregnated pleats not only act as an odor removal filter but also as an effective particulate filter.